ISBN 0634040634. 8.3x10.87 inches. Budget Books. 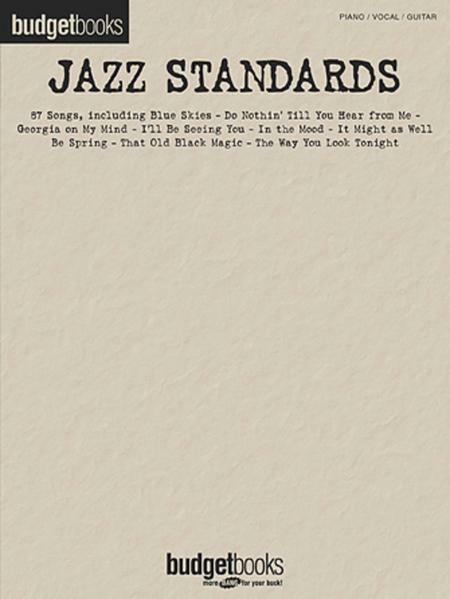 A jam-packed value-priced collection of over 80 jazz classics for only $12.95! Includes Blue Skies, Good Morning Heartache, Isn't It Romantic? and more. This book has a good selection of music, good arrangements, and best of all, it is economical. Another plus - the paper it is printed on is thinner than other books, making it very pliable - easy to open to a page and have it stay open without a struggle. , providing a â€œfakeâ€� style option. The sheet music is clear and easy to read (no fingerings). 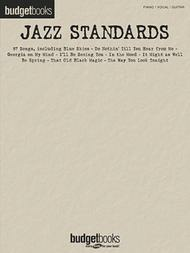 Quality examples: â€œIn The Moodâ€� is a terrific piano transcription of Glenn Millerâ€™s recording â€“ right down to the jazzy 9th and 11th chords. â€œBesame Muchoâ€� and â€œTangerineâ€� have simple bass lines and use extra treble notes for a beautiful Latin feel. The bass line is almost always just 1 or 2 notes at a time: octaves, suspensions, or arpeggios, letting pianists concentrate on the melody. The treble staff varies in most pieces from single notes to chords. Consecutive chords often use 1-2 of the same piano keys and changes are often in parallel motion, making them easier to learn. 31 of 50 people found this review helpful.